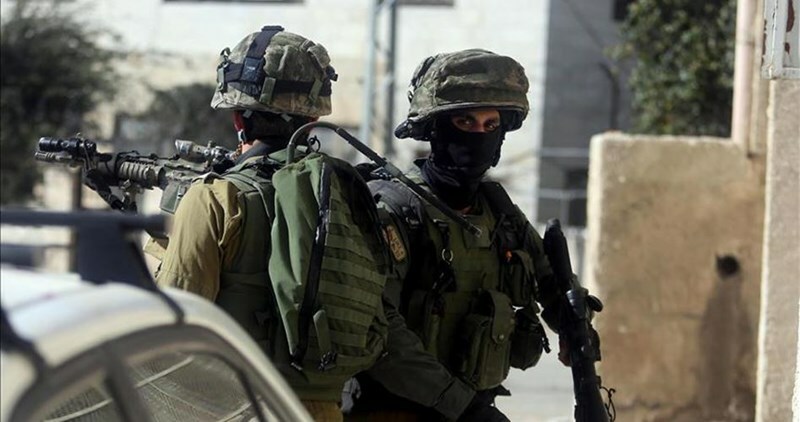 Israeli soldiers invaded, on Friday afternoon, the Ein al-Louza neighborhood in Silwan town, in occupied Jerusalem, and kidnapped six Palestinians. The soldiers also removed and confiscated a protest tent in the town. 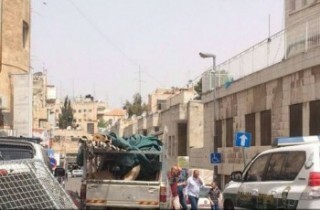 The Wadi Hilweh Information Center in Silwan (Silwanic) said dozens of soldiers, and police officers, invaded the neighborhood, and confiscated a protest tent installed by the residents in cooperation with the Committee for Defending Silwan Homes. The tent was installed by the residents to protest Israel’s plan to demolish a number of Palestinian homes in Silwan. Silwanic said the soldiers kidnapped Jalal al-‘Abbassi, Firas al-‘Abbassi, Mousa al-‘Abbassi, Mohammad Abu Tayeh and Khaled Abu Tayeh, in Ein al-Louza neighborhood. 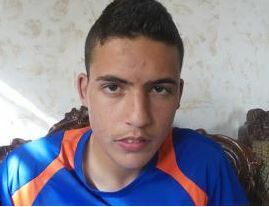 The soldiers kidnapped Mousa al-‘Abbassi after stopping his truck, carrying plastic chairs. The army claimed he was sending the chairs to the protest tent, but the Palestinian said he was sending the chairs to a wedding of one of his relatives, and showed the interrogator the official invitation card. He was released after receiving a warning, ordering him not to transfer chairs to Ein al-Louza. In addition, the army kidnapped Jawad Siyam, the head of the Wadi Hilweh Information Center, after accusing him of attempting to block traffic to prevent the soldiers from arresting the above-mentioned Palestinians. He was released later, and was given an interrogation order in the Police Station in Salaheddin Street, in Jerusalem, in addition to being ordered to pay a fine. 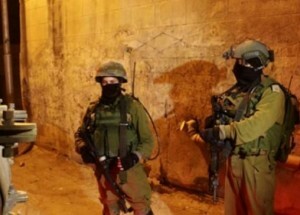 Israeli forces launched multiple predawn raids across the occupied Palestinian territory Saturday detaining at least four Palestinians and delivering summons to others, locals and Palestinian security sources told Ma’an. In the northernmost West Bank district of Jenin, Israeli forces ransacked a house in the village of Rummana and detained Nidal Sbeihat, according to Palestinian security sources. Israeli forces also stormed Qalandiya refugee camp in the central West Bank district of Ramallah and detained Husam al-Ashhab. In the Old City of occupied East Jerusalem, Israeli forces detained a woman identified by local sources as Zeinat Uweida. The sources added that Uweida was among a group of volunteers known in Arabic as the Murabitat (Murabiteen for men) who often stay inside the Al-Aqsa mosque compound with the aim of preventing groups of right-wing Jews from entering. 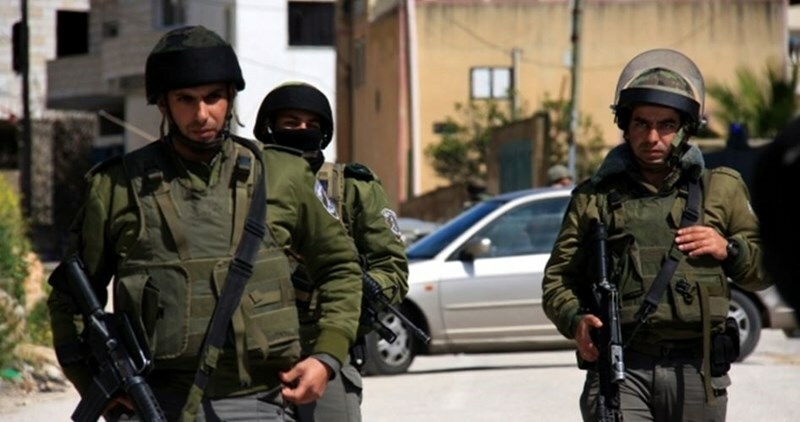 Another predawn detention raid was reported in the village of Qatanna northwest of Jerusalem. A young man was reportedly detained. An Israeli army spokesperson later confirmed the detention in Qatanna and also reported another detention in the Ramallah district. In Bethlehem district in the southern occupied West Bank, Israeli forces raided Ayda refugee camp and the town of al-Khader and delivered summons to Muhammad Mustafa Kanaan, Muhammad Riziq Salah, Hamza Issa Ghneim, and Nabil Suleiman Mousa. Raids were also reported in Hebron district in the southern West Bank where Israeli forces delivered summons in Hebron city as well as the towns of Dura and Deir Samit. The detentions come after seven women were detained Friday, with Israeli authorities issuing five of them months-long bans from entering Al-Aqsa mosque. Israeli police on Friday also briefly detained a leading sheikh at the Al-Aqsa Mosque compound in occupied East Jerusalem for alleged "incitement" after he addressed some 70,000 worshippers at the holy site. As of February, around 7,000 Palestinians are currently held in Israeli prisons, 60 of them women, according to prisoners’ rights group Addameer. The United Nations Office for the Coordination of Humanitarian Affairs recorded a weekly average of 94 search and detention operations in the occupied Palestinian territory since the beginning of 2016. 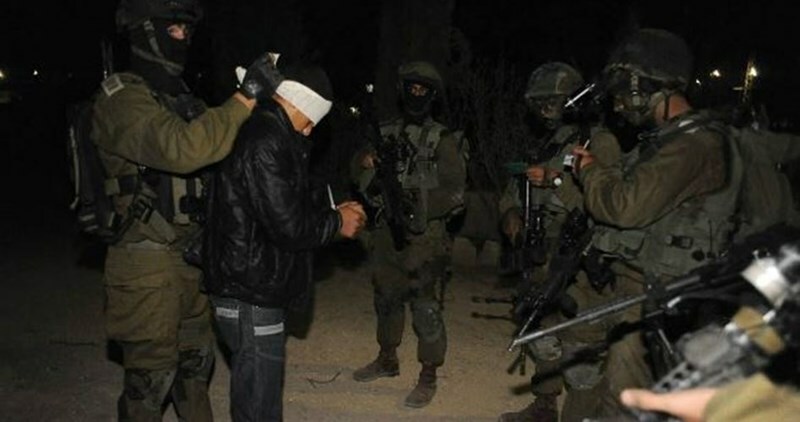 The Israeli Occupation Forces (IOF) arrested at dawn Saturday an ex-detainee from Rommana town east of Jenin to the north of the West Bank. Local sources told the PIC reporter that the ex-detainee Nidal Sabihat, 28, was arrested at a make-shift checkpoint at the entrance to Ramallah. The sources pointed out that Israeli forces stopped and searched Nidal’s car at the checkpoint before arresting and transferring him to a nearby detention center for unknown reasons. Israeli police detained and later released the preacher of al-Aqsa Mosque Sheikh Mohamed Salim as he exited the Mosque after Friday prayers for unknown reasons. Sheikh Salim stressed during his Friday sermon the historic importance of occupied Jerusalem and al-Aqsa Mosque. He also pointed out that Israeli occupation authority (IOA) never ceased its violations and break-ins into al-Aqsa Mosque, calling for intensifying Palestinian presence in the compound. 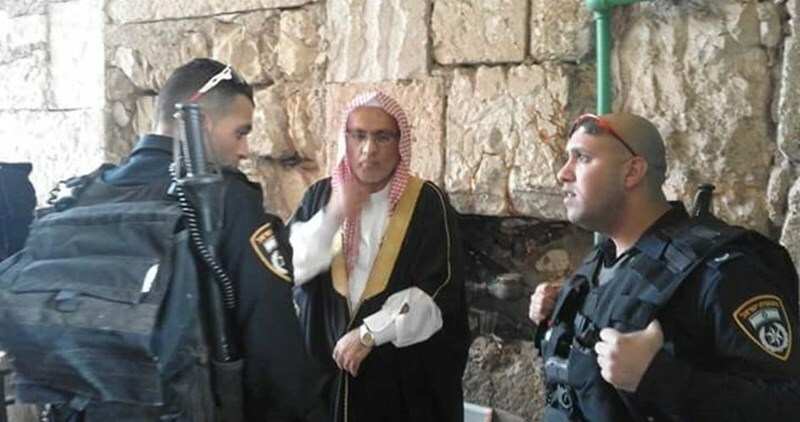 Commenting on Sheikh Salim’s arrest, MP Jamal al-Khudari said Israeli arrest of the Sheikh of al-Aqsa and Palestinian worshipers is a serious escalation against the holy shrine and the occupied city. Khudari said that the IOA continues to impose a tight siege on the occupied city while escalating arrests and violations against Jerusalemites and their properties. Israeli Judaization policy will not succeed to evacuate the occupied city from its natives in light of the Palestinians’ strong adherence to their land, he said. According to the PIC reporter, nearly 70,000 Palestinian worshipers performed Friday prayers at al-Aqsa amid very tight Israeli restrictions throughout the occupied city. Israeli policemen were deployed in large numbers in the Old City after the arrest of a Palestinian young man for allegedly trying to carry out an anti-occupation attack. Meanwhile, Jerusalemite activists held banners in protest against Jordanian intention to install surveillance cameras in the holy shrine's courtyards. Palestinian and Jordanian activists have earlier declared a campaign against the Jordanian plan of installing surveillance cameras in the Mosque. The Israeli Occupation Forces (IOF) arrested Friday evening a Palestinian driver after chasing him near the northern entrance to Halhul town north of al-Khalil. Eyewitnesses affirmed that the unidentified driver was arrested and taken to an unknown detention center. 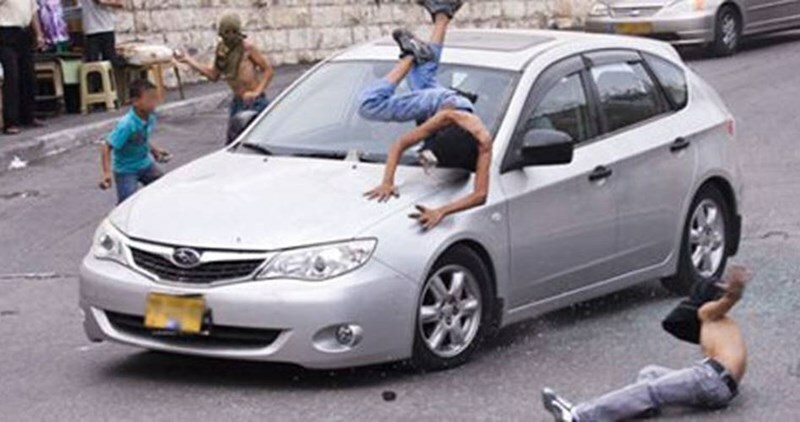 Spokeswoman for the Israeli police Luba al-Sumari said that a Palestinian man was arrested after he allegedly rammed his car into another Israeli vehicle before fleeing the scene. On the other hand, a Palestinian family was detained after being stopped near Surif town northeast of the city. No further details were revealed about reasons for their arrest. The Israeli occupation forces (IOF) on Friday morning kidnapped a Palestinian youth near Bab al-Amoud area, in Occupied Jerusalem, on allegations that he was holding a knife. 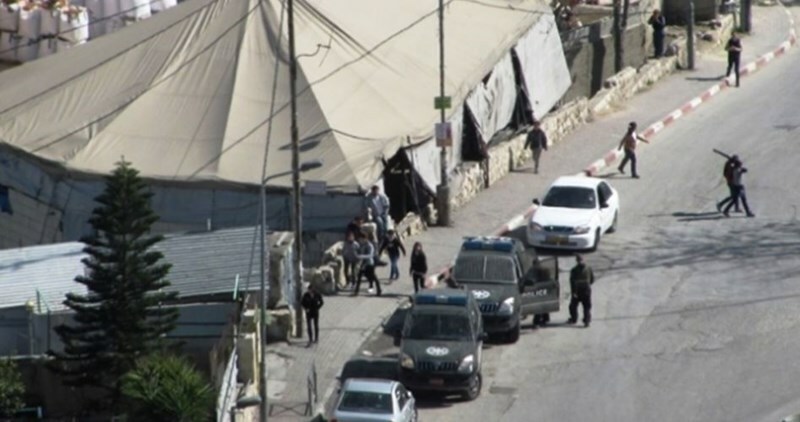 Israeli news outlets said the occupation police claimed responsibility for the abduction of a 25-year-old Palestinian near Bab al-Amoud on account that he attempted to carry out an anti-occupation stabbing attack. Meanwhile, the IOF rolled into Arak Burin town, in southern Nablus, and wreaked havoc on civilian homes in search for a Palestinian child claiming that was carrying a knife. Israeli soldiers prevent on Friday a joint Israeli-Palestinian peaceful demonstration against the seizing of private Palestinian lands. 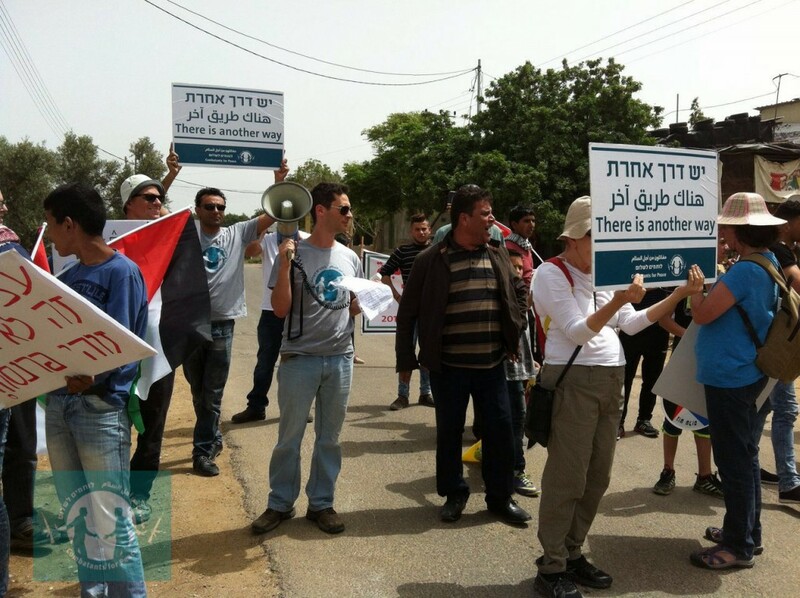 The demonstration, led by activists from ‘Combatants for Peace’ movement, is part of the resident’s struggle against the plan to build the Nabi-Alias bypass road to benefit settlers, on private Palestinian lands. Even before the non-violent demonstration could begin, protesters were met with military and border police forces which showed them a Closed Military Zone warrant, which was issued for that specific day only, in order to prevent the protest. Most of the demonstrators were able to meet in the village of Izbat al-Tabib near Nabi Elias and began to march towards the exit of the village, but were met there with troops who blocked the exit to the village. There the demonstrators tried to plant olive tree as a symbol of peace, but the soldiers attacked using tear gas and rubber-coated steel bullets. Two Palestinian protesters were wounded by rubber bullets and two others suffered from tear gas inhalation. Troops also detained four Israeli and one Palestinian activists Two Palestinian protesters were wounded by rubber bullets and two others suffered from tear gas inhalation. Maya Katz, Combatants for Peace activist who took part in the demonstration: “The right to protest is denied even from non-violent peace activists, who came to demonstrate against the construction of a road that will benefit only the settlers on private Palestinian land, and to plant an olive tree as a symbol of peace. Without any provocation, the army used extreme means to stop the protest and arrested activists in suppression of the freedom of speech “. In order to build the Nabi Alias bypass road, which will serve mostly settlers’ needs of separation from the Palestinian population and has no benefit for Palestinians, 104 dunam of private Palestinian landshas been expropriated in December 2015. If this plan continues, 700 olive trees would be uprooted and the agricultural landscape would be damaged, as would the livelihood of Palestinian farmers and small business owners. Demolition of Palestinian shops located in the future roads’ area began this week. Combatants for Peace was formed by Israelis and Palestinians who took part in the cycle of violence in our region and are now working together in non-violent ways for peace and coexistence. In recent years, the movement has conducted hundreds of activities, house meetings with ex-combatants, tours, demonstrations and lectures, both in Israel and Palestine. The movement calls for ending the occupation, rejects any kind of violence on both sides, and the recognition of the existence of a dialogue partner on the other side. 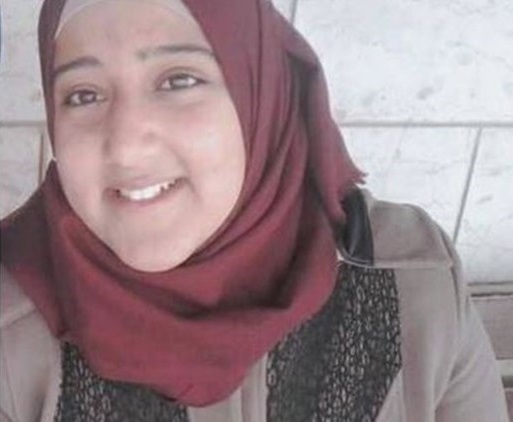 The Israeli occupation forces (IOF) at dawn Friday kidnapped 21-year-old Salsabil Shalaldeh, a female member of the student council at Palestine Polytechnic University, from her home in Sa'ir town, northeast of al-Khalil city. The mother of Shalaldeh told the Palestinian Information Center (PIC) that Israeli soldiers raided and ransacked her home in Kawazbiya neighborhood in the town and kidnapped her daughter. She added that the father of Shalaldeh, Zuwadi, who is an administrative detainee in an Israeli jail, was arrested three months ago during the arbitrary IOF campaign that led to the detention of several Palestinians from Sa'ir town. Shalaldeh is a student of information technology at the university and a member of the Islamic bloc, the student wing of Hamas which formed the student council. 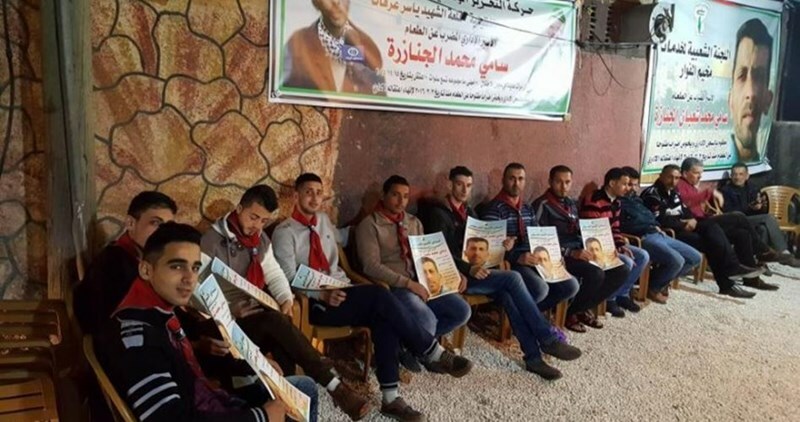 The IOF and the Palestinian Authority security forces have recently shared the role in arresting many members of the Islamic bloc ahead of the student elections slated to take place next week. An Israeli military jeep rammed a Palestinian young man and injured him during a campaign at dawn Friday in al-Deheisheh refugee camp, south of Bethlehem. Local sources told the Palestinian Information Center (PIC) the Israeli occupation forces (IOF) stormed the camp at dawn in a bid to carry out raids on homes and make arrests, but they were confronted by local young men and their campaign went awry. 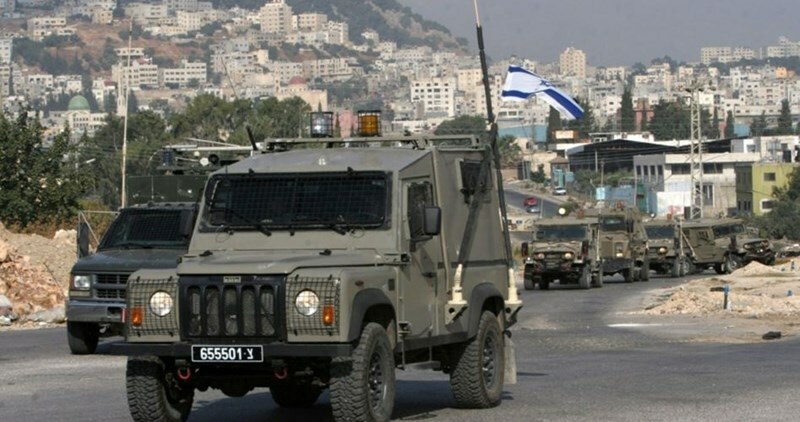 They added that one of the Israeli military vehicles chased a young men to detain him as it was withdrawing from the camp and ran him over, noting that the young man suffered slight bruises and injuries and was rushed to Beit Jala hospital. Meanwhile, the IOF stormed the nearby town of Doha and kidnapped 21-year-old Ibrahim Salhab from his home. Defense for Child International – Palestine Branch has reported that Israeli soldiers are systematically abusing Palestinian children, especially during invasions of their homes and while abducting them. DCI said it documented many cases of abuse targeting Palestinian children after the soldiers stormed their families’ homes without any cause or justification, for both the invasions and the excessive use of force. One of the cases is that of Ahmad Tamimi, 16, from Betunia town west of Ramallah, who was repeatedly beaten and assaulted by the soldiers after they invaded his family’s home to kidnap his uncle. In a sworn affidavit, Tamimi told DCI that, on March 17, he was awakened by the very loud noise, shortly after midnight, to find eight Israeli soldiers surrounding his bed, in his own bedroom. The child also stated that one of the soldiers hit him with his rifle on his left cheek; he started feeling dizzy when the soldiers dragged him bedroom’s door, and started suffering severe pain. After invading the home, the soldiers held the entire family in one room, and later moved Ahmad to the same room while handcuffed and his legs shackled, then they left the property after abducting his uncle, 30 years of age. The family then untied their child and directly headed to the Palestine Medical Center in Ramallah; after examination, the doctors found various cuts and bruises to his head, forehead, left shoulder and right arm. Since that incident took place, Tamimi has been afraid to sleep in his room alone, and constantly feels that the soldiers will surround and attack him again. He is always thinking about what they did to him, and is terrified of leaving home after dark. On March 3, at least fifteen Israeli soldiers invaded, approximately at 3 at dawn, a home in the northern West Bank city of Jenin after smashing the front door. The soldiers the grabbed Ahmad ‘Arqawi, 17, and his brother, 21, and started repeatedly pushing their striking against the walls. One of the soldiers also pushed Ahmad’s head against every mirror in the bedroom, causing various cuts, especially on the right side of his head in addition to severe pain. They then forced him into the bathroom, with his family, and kidnapped his brother while repeatedly kicking, punching and beating him. After the soldiers left the family home, and withdrew, the family called for an ambulance that took Ahmad to the Jenin governmental hospital, where he was treated for serious cuts and bruises in various parts of his body, including his head, face, shoulders and back. The Israeli Ofer military court on Thursday turned down the appeals filed by hunger-striking Palestinian detainee Sami Janazra during a court hearing to renew his administrative detention. Head of the Legal Unit in the Palestinian Prisoners Society (PPS) lawyer Jawad Boulos said in a press statement he will file an appeal to the Israeli Supreme Court against Janazra’s administrative detention. 43-year-old Janazra, arrested on November 15, has been on an open ended-hunger strike since March 3 in protest at his administrative detention, with neither charge nor trial. Al-Janazra has been held for a total of seven years in Israeli occupation jails. PPS also raised alarm bells over the remarkable deterioration in Janazra’s health status as he has lost 16 kgs of his overall weight and suffers from hypotension. The Israeli occupation forces (IOF) on Thursday evening arrested the Palestinian engineer Alaa al-Aaraj, three days after he was released from the Palestinian Authority (PA) jails. A PIC news reporter said al-Aaraj was arrested in Azaba village, near Qalqilya, after the IOF cordoned off his family home. 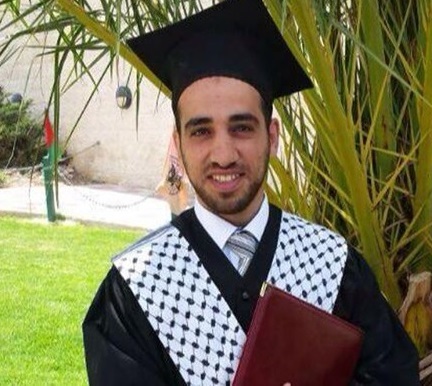 Al-Aaraj was released on Monday from the PA jails, where he had spent 123 days. He had also gone on a 17-day-hunger-strike. Alaa had previously been locked up in PA jails on several occasions. In 2009 he was held in custody by the PA Preventive Forces in Tulkarem for four months, during which he had been subjected to harsh torture. The PA courts accused him of involvement in anti-occupation groups and armed resistance without providing proofs for the indictments. From 2010 to 2015 Alaa was prevented from pursing his academic career in engineering before he was acquitted from all the alleged indictments. 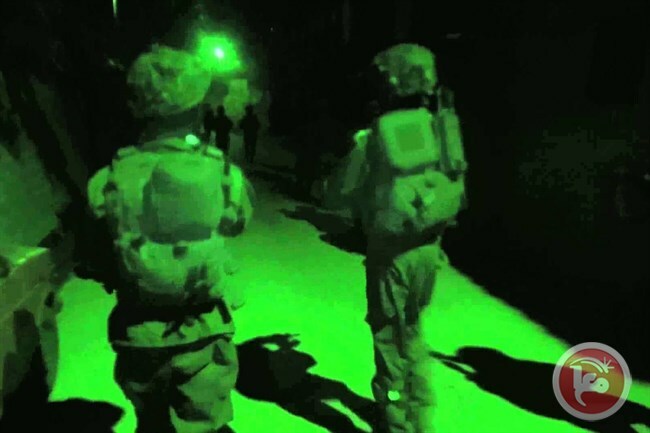 The Israeli Occupation Forces (IOF) arrested overnight and at dawn Friday seven Palestinian citizens during a large scale raid campaign across occupied West Bank. The Israeli army said in a statement issued Friday that six “wanted” Palestinians were arrested for allegedly being involved in anti-occupation attacks. Five arrests were carried out in Aroub refugee camp and Seir town in al-Khalil, while another arrest was reported in Qalqilia. Three activists in Hamas Movement were rounded up including a woman. IOF also arrested a university student after violently breaking into his home in Doha town in Bethlehem for his student activism in the Islamic bloc, which is affiliated with Hamas.